Number of needles–16: The number of needles is 16, thus making more micro channels when compared to other autoneedling devices whose needle cartridges have have 12 needles in general. 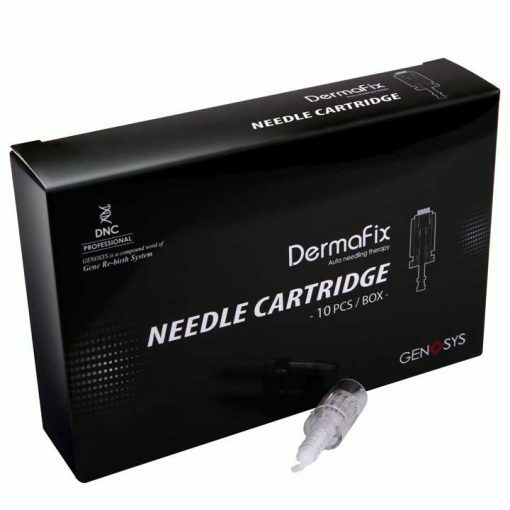 Thickness of needle – 0.2mm: The pricking sensation is minimised. Cutting shape needle of needle-hexagon: The cross section of each needle is configured to form a polygonal cross section of at least six sides instead of a circular cross section, so that when pricking the skin with the needles , the contact surface of each needle relative to the skin can be reduced, thus minimising the pain.